Colorado Springs, Colorado, U.S. – Insurance agent Aaron Portnoy looks through the rubble of a home on Yankton Place in Colorado Springs on Monday. Every house in the cul-de-sac of Yankton Pl. 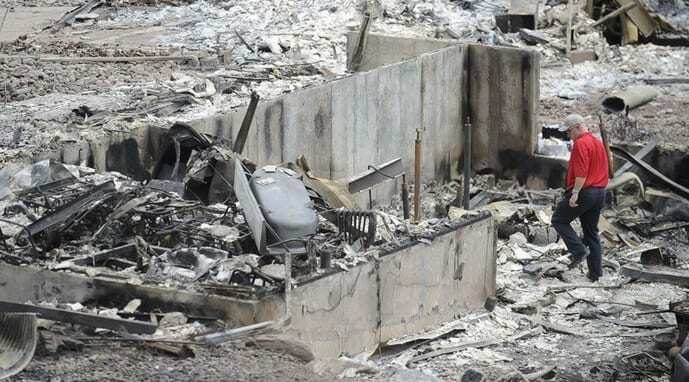 burned to the ground in the Waldo Canyon fire. This entry was posted on July 3rd 2012 at 1:18pm/13:18 and is filed under Live News Column 1. You can follow any responses to this entry through the RSS 2.0 feed.